How to display form received informaion on the same page? 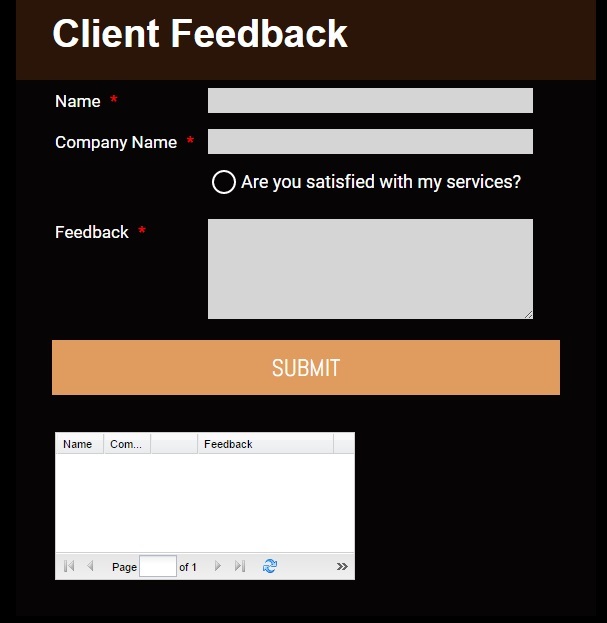 Is there a way to display the information submitted using the form on a webpage, right away after hitting the submit button? Is this form what you had in mind? This can be made possible by inserting a Free Text HTML field in your form, creating an HTML table or Grid Listing Report and then inserting that report onto the free text field. Hope this post answers your question. Let us know if you have further questions. Thank you. wow! this is simply fabulous! Hats off to you folks at Jotform for such wonderful features. I just have one more question to ask regarding this. In my form I have an upload box in order to upload photos (food photos). Can a thumbnail of the photo also be displayed in the html table? Thank you for the kind words. Unfortunately, displaying thumbnail in the html table report is not possible. Upload fields data will show as direct urls to the file uploaded on our server. The only way that I could see this being possible is to have custom programming done. The idea is to extract submission information from the reports, and then replacing the direct urls for the images with <img src="[path to the image file]" /> to show the images in the content. I know this may sound complicated but its easy if you know your programming. Hopefully this was of any help to you. Thank you for using Jotform. aaah i see... Actually I am a programmer by profession (actually a C programmer) and getting my hands dirty with a little bit of html code these days (thanks to my blog). 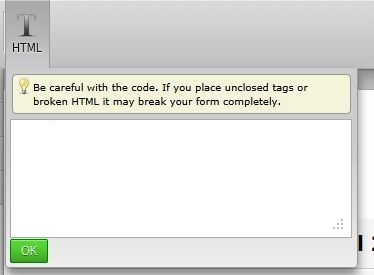 I always use the html img tags for displaying images on my blog. But in this case, how do I access the table elements and extract the submission imformation for each entry and replace tht entry in the table with html code <img src="[path to the image file]" /> ? Actually, to achieve what you want to do, you would need to do some web programming using PHP perhaps, because PHP is open source and there is a ton of resources available on the internet. You can use PHP cURL to extract information from the reports and then format it in anyway you want. That way, instead of showing the URL to the uploaded image, you can show the image itself by using HTML <img> tags. I hope this post gives you a hint about the programming logic needed to incorporate the submitted information onto your form. it's perfect , really perfect!!! i have a little question, user of my site can upload only 20 files? Since this is a separate issue, I have posted the answer in this other thread. 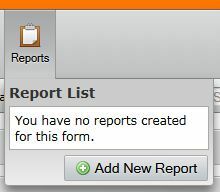 Is there a way to modify the way reports are being displayed?? Besides controlling which fields are displayed, I don't think so but I'll check. Thank you so much for your support. Looks like you've made some changes on your form builder. Power tools is not available to me but I did find a text function to do the job. As you can see, the report part is small. How can make the report take the full space of the page? We will be assisting you with it there, shortly. Thank you.